I once went to an emerging choreography showcase where almost half of the choreographers used the same composer: completely by coincidence. While there are a multitude of reasons why this may have occurred, it nevertheless demonstrated the importance of careful — and varied — musical selection for choreography. 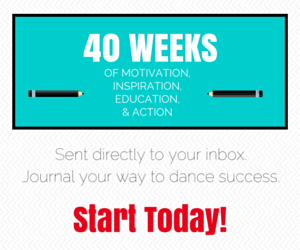 How many times have you been to a dance competition or performance and thought, I want to check out that song or composer for my next work or dance number? Musical selection is often hindered because choreographers consistently look for music in the same place. Following are some ideas to shake up your musical selection routine. You can’t get more original than original music! If you are looking for an original composition for your choreography, you will need to find a composer. The task is not as difficult or unaffordable as you think. A quick Google search will reveal a wealth of freelance composers who are available for hire. To get a more personal experience, consider inquiring with local art schools or colleges or holding a composer competition like Houston’s Frame Dance Productions does annually. Many colleges have composition courses with talented students who would be willing to compose a piece of music for free or at a reduced cost. If you are looking for something pre-recorded and you have an idea of what you want it to sound like, head over to Spotify. I often ask my choreography students to try this when they get “stuck” on a popular composer. If you create a playlist, Spotify will automatically generate a list of “related songs” right below it. This is a great way to discover new artists in a particular genre. Of course, there are other places to find related music. Tell us your favorite methods and services in the comments! An important and often overlooked consideration is copyright. Copyright protections cover both the recording of the song, as well as a song itself. If you are creating work in a situation where you will need to get the legal rights to use your musical selection, you may find this is more difficult, or more expensive, than you had imagined. The internet has a wealth of sites on which you can download and license music for free. These web sites, such as Beatpick, often contain the work of new, experimental artists, and simply ask that you credit the artist wherever the work is used. There are also web sites like PublicDomain4U and Musopen that house music that is in the public domain, meaning that the works no longer have property rights attached to them. Always check which rights attach to a particular piece of music. It is common that a composition is in the public domain, but a particular recording of that composition is not. 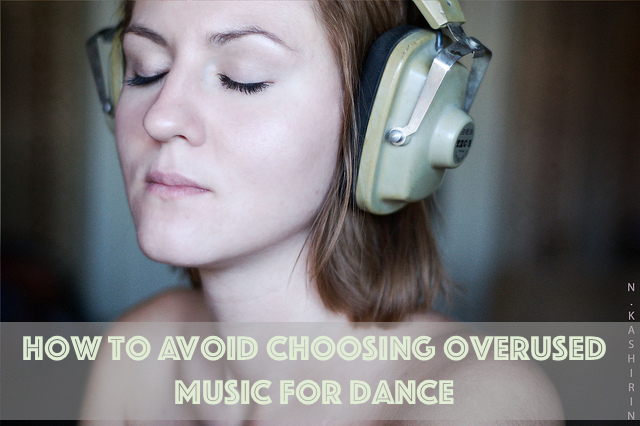 Share your tips for avoiding overused music for choreography in the comments! Chelsey (Dahm) Bradley is a recovering attorney turned freelance choreographer based in Madison, Wisconsin, where she teaches contemporary at Monona Academy of Dance and serves as resident choreographer for Dance Wisconsin. She is a four-time Regional Dance America National Commissioning Award Winner, and has received commissions to choreograph contemporary works throughout the Midwest, as well as a full-length production of Alice's Adventures in Wonderland for Dance Wisconsin. Chelsey is currently pursuing her M.F.A. in dance composition. You can follow her work on, Instagram and contact her for new projects at www.chelseybradley.com.